YASC – My favorite. You simply dont get a player with more features. 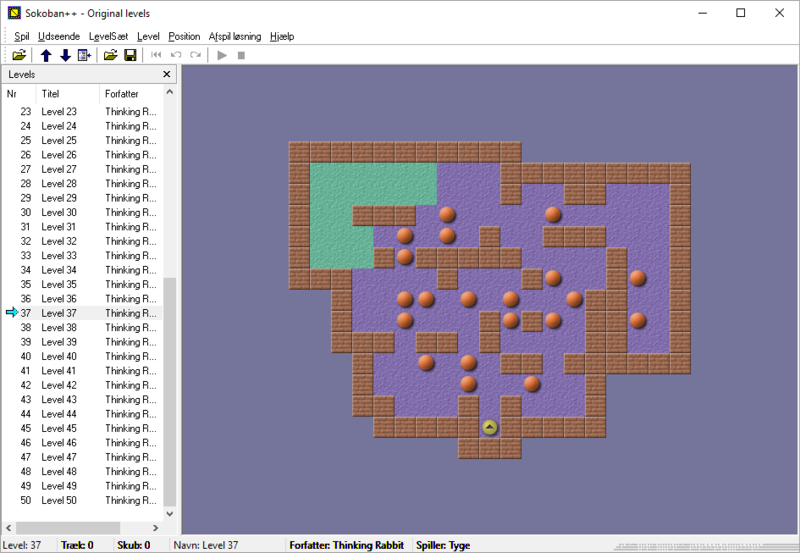 Built in solver, optimizer, level designer, skin designer, screendump level converter. You name it. YASC got it. Windows only. Programmed by Brian Damgaard. JSoko – Java Sokoban player by Matthias Meger. Runs on any platform that runs Java. So welcome Mac and Linux but sorry Android. Solver, optimizer. 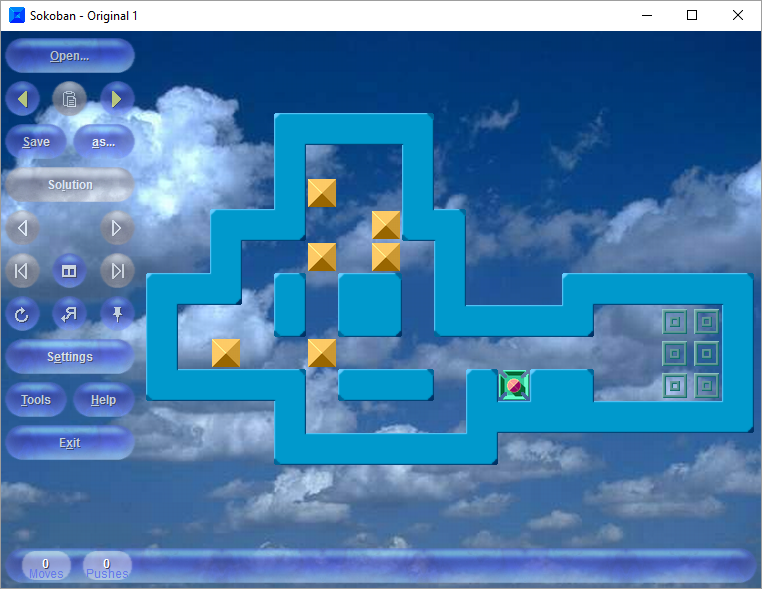 YSokoban – Windows player by George Petrov. Lot of facilities. “Go through wall” function, optimizer. Really slick function changing skins and opening new level collections. Just drag the graphics or file on YSokoban and Bingo! 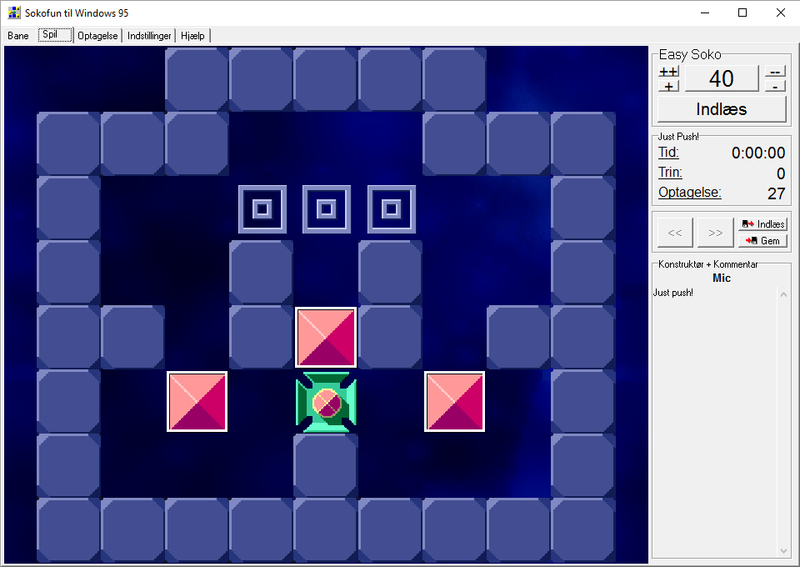 Sokoban++ – Windows player by Joris Wit. 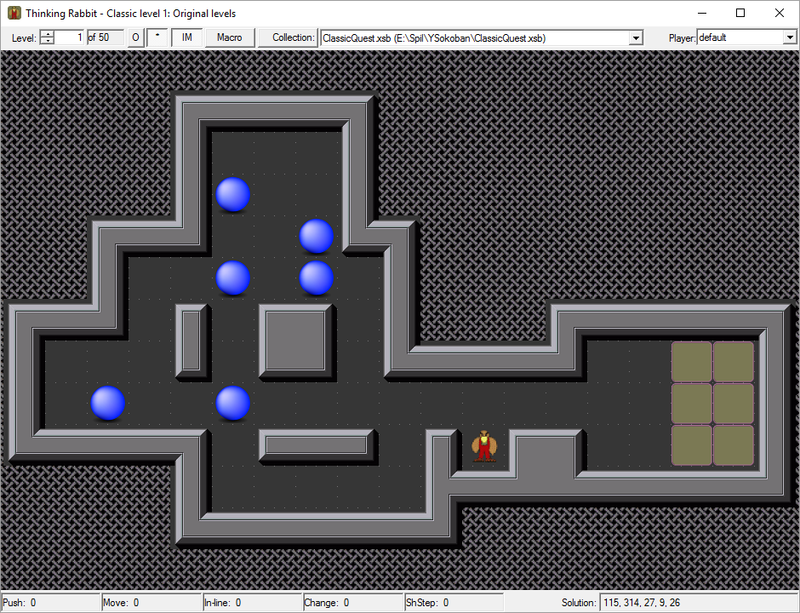 Solver, level designer, Many different languages. Outstanding level format converter. Sokoban 3 – By Bjorn Kallmark. Formerly named Sokoban for Windows. Shareware. Free for 30 days. Nice skin designer. Only for Windows. Build in music if you like that. Sokofun Pro – Development stopped 2007 I think (no newer files in download package). 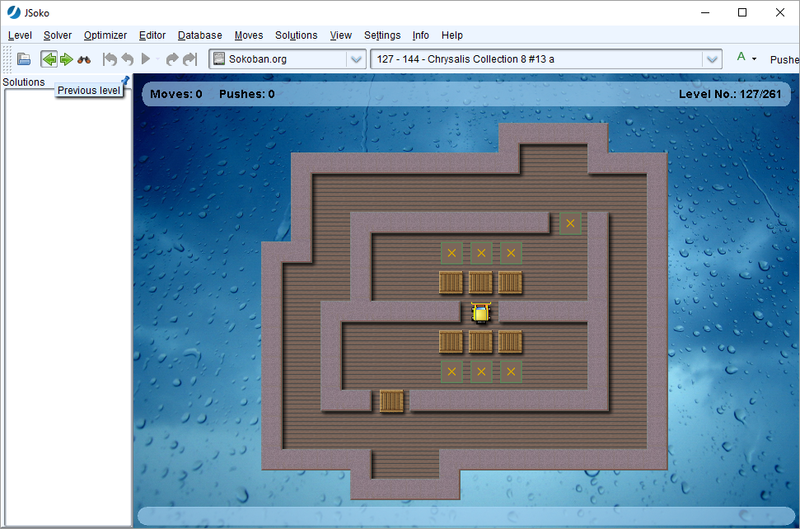 You can download the shareware version or Sokofun Free to play around 100 puzzles by Mic. 2007 you could buy Sokofun Pro + around 1300 puzzles for 50€. You need Sokofun Pro to play Mics puzzles. 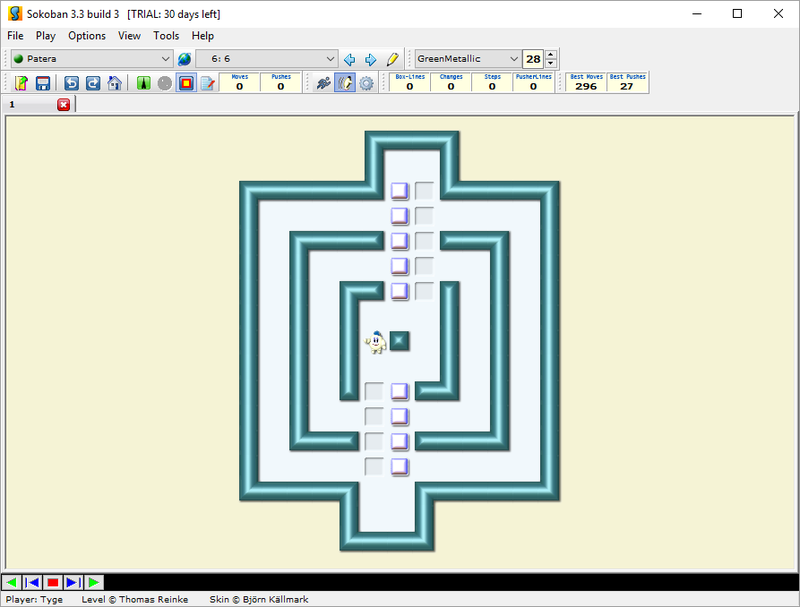 Today(2016) Mic has made more than 2000 puzzles. You have to buy them. Sokofun. Not Mics hardest puzzle. You will find hundred of online players. Often nice designs. Often ugly designs.